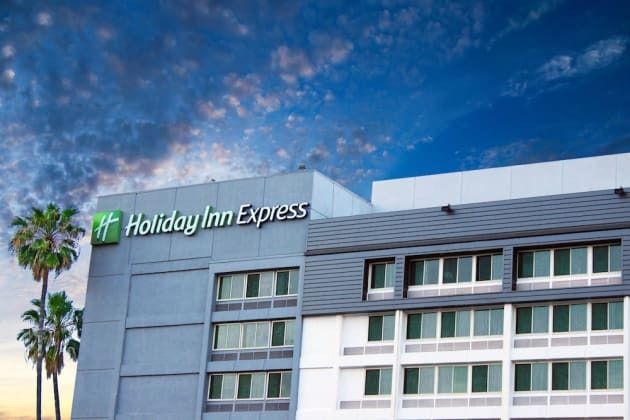 Enjoy Van Nuys, CA Hotel's Proximity to LA AttractionsIf you're searching for premium business or vacation lodging near Los Angeles, look no further than the Holiday Inn Express® Van Nuys hotel. We are a short, 20-minute drive from downtown LA and ideally situated just off of the 405-freeway. The combination of this top location, a helpful, multilingual staff and amenities that offer all the comfort and conveniences of home make for a memorable stay in the Los Angeles area.The hotel's business guests can make a circuit of major area corporations like Anheuser-Busch and Capital Records, and members of the medical industry find Kaiser Permanente and Northridge Hospital within easy driving distance. 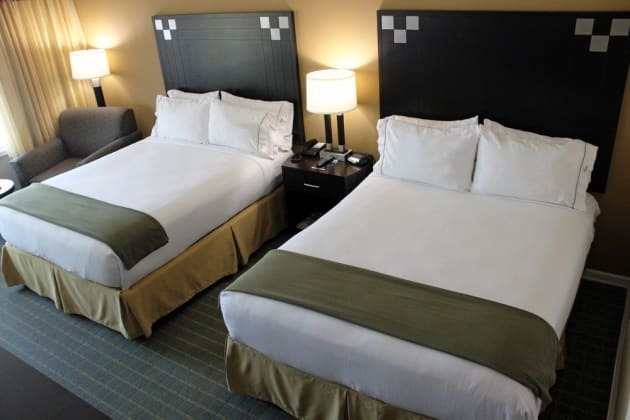 If you prefer to conduct business meetings on-site, consider booking one of our three conference rooms.This lodging is also near timeless Los Angeles attractions like Universal Studios, the Staples Center and, of course, Hollywood and Beverly Hills. Vacationers can also visit attractions like the Japanese Gardens just around the corner in Van Nuys. We can help create the quintessential LA vacation without the price tag of downtown Los Angeles.The hotel's staff, amenities and property are poised to offer a genuine value to real people. Enjoy complimentary, daily breakfasts with the hot Express Start Breakfast Bar. Stay online with free high-speed, wired and wireless Internet access. 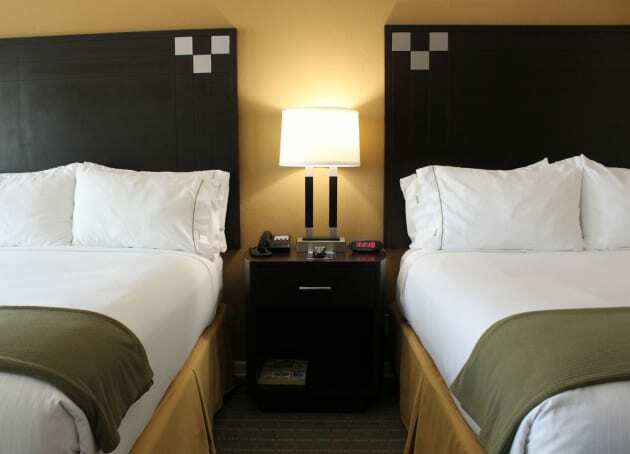 Call to reserve your room today, and "Stay Smart" with us. Sit down restaurant with banquet facilities.The restaurant serve American, Asian, and other varieties of dishes.They have a facility that customers can watch their favorite sports event. When you stay at Hampton Inn & Suites Los Angeles/Sherman Oaks in Van Nuys, you'll be in the business district, within a 15-minute drive of Getty Center and Universal CityWalk. This hotel is 8.5 mi (13.6 km) from ® and 9.3 mi (14.9 km) from University of California Los Angeles.